You are here: Home / Online Store Deals / Shutterfly: Save up to 50% off Your Order! Shutterfly: Save up to 50% off Your Order! Get up to 50% off your order at Shutterfly! Use coupon code NEWFORU at check out. The more you spend the higher your discount will be! Offer is good for 30% off qualifying merchandise orders of $1-$28.99; 40% off $29-$78.99 and 50% off $79 or more (after select discounts and before taxes, shipping and handling) through shutterfly.com, our mobile-friendly site or Shutterfly app. Offer is valid through February 26, 2016 at 11:59 p.m. PT. 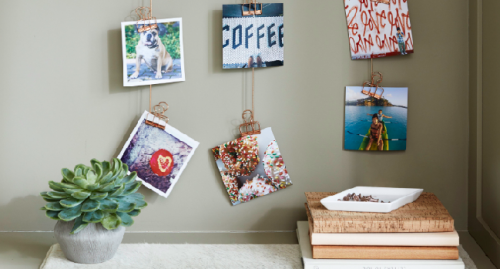 Get Up to 50% Off Your Order at Shutterfly! Use code NEWFORU at check out. Valid 2/23-2/26 Offer expires February 26, 2017 (11:59 P.M. PT). Offer is good for 30% off qualifying merchandise orders of $1-$28.99; 40% off $29-$78.99 and 50% off $79 or more (after select discounts and before taxes, shipping and handling) through shutterfly.com, our mobile-friendly site or Shutterfly app. Taxes, shipping and handling will apply. This promo will be applied to your order after any $-off promos. Limit one %-off promo per order. Not valid on personalized postage stamps, prepaid, annual savings and video plans, gift certificates, cards sent using mailing services, prior purchases, FavePix, PrintFix, Groovebook and orders placed for in-store pick up. Cannot be redeemed for cash or combined with select offers or credits. Not valid for resale. We reserve the right to modify or replace any part of these terms and conditions without notice.